Since its launch in 2005, YouTube has gradually become the most poplar video content site on the internet. Each day, millions of people, from all over the world, visit this site to upload and/or view their favorite videos. Most of the time, patrons of YouTube watch the videos on the site itself. Additionally, you can also download and save a copy of the videos and watch them over and over again. Below is the step-by-step procedure to download and save YouTube videos on your computer. First, go to the YouTube site and track down your favorite video. Once you do that you would have to locate the URL of the video. You can find it either at the top of your browser screen or on the side of the video in a mini-section labeled as URL. To download the video on to your computer, you would need appropriate software. SaveVid.com , DownloadYoutubeVideos.com and KeepVid.com are some sites that help you to download any kind of video with ease. After you have loaded one of these software, all you need to do is to paste the URL in the bar and click at the download button. The next step is to save the downloaded file. You have the option to save the video as FLV file, which is a low-quality flash video format, or as MP4 file, which is a high-quality MP4 video format. If you have chosen the Flash format, you would need a FLV converter to be able to convert the file in a format that is feasible for Windows Media Player or Quick Time Player. There are several FLV converters available on the internet free of cost. Choose one that is most suitable for your operating system. Download the software and use it to convert an FLV file to popular video formats like MPEG, WMV and AVI. Another way to download YouTube videos is through RealPlayer software. With this software in your computer, whenever you play a YouTube video online, and move the mouse within the frame, you will notice a small bar displaying the message, Download this Video. The moment you click at the bar the video will be downloaded and saved in the RealPlayer library. 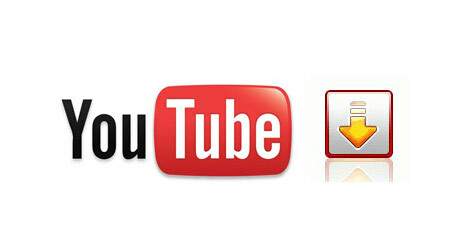 For the ease of users, YouTube is also working on the download feature. It is still in the beta testing stage, but very soon it will become fully operational. Until then you would have to rely on the above stated methods to download and save your favorite YouTube videos.